I went on a bike ride today and couldn’t help it. 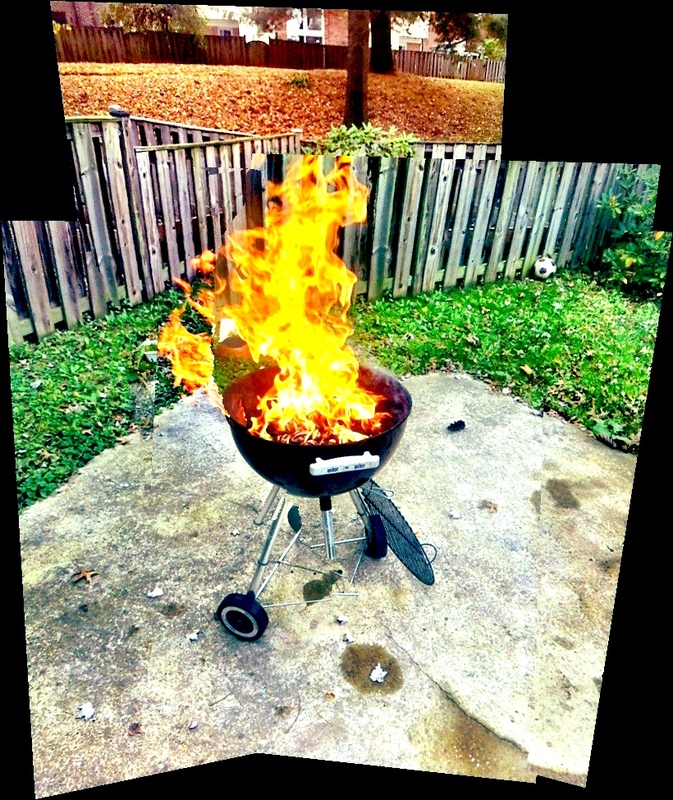 I took some panoramas. Trees are changing colors quick and it seems that right about now it seems is the best of this colorful show. 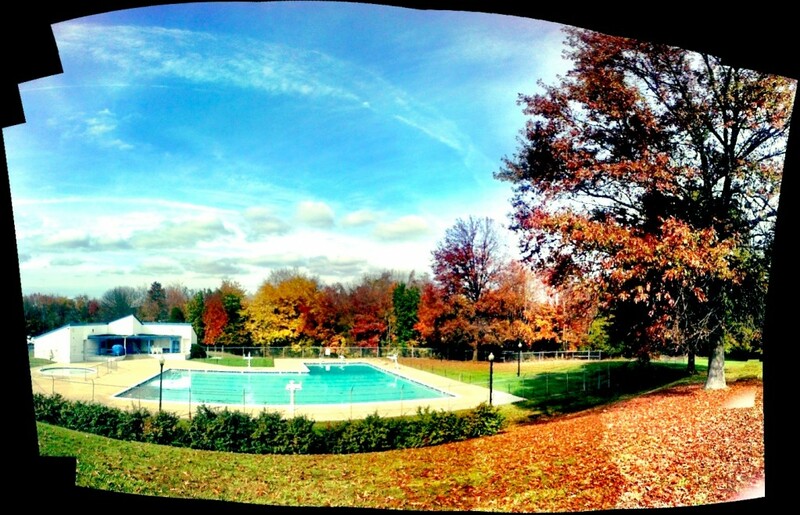 Here’s a 3d panorama of a pool that I see along the bike ride. The blue skies, fallen leaves, the empty calm pool and the trees in background make up a scene I really like. The panorama is flattened below. I’m including a picture of the grill if only because of the funkyness of the fence that is captured as background. We have a fairly normal fence but the pic shows all kinds of intersecting lines and angles. I’m enjoying the funkyness there. The picture below is of a nice park a block away from the house. I’ve taken pictures in this park before (here and here) and during the fall but from this side where the tall trees are met with the neighborhood streets. Another 3d pic of the park. Don’t forget to “look up” when you pan the picture! 27 Oct This entry was written by Carlos, posted on October 27, 2012 at 11:42 pm, filed under Casual.